November 21st will be our first session. October 17th has been cancelled. 3 – How the graduate will be getting to and from meetings. Please specify if transportation is a concern. *Please note, if transportation is a concern, HDSA will be looking into providing a shuttle bus. If interested, you will be notified of transportation arrangements soon. PLEASE JOIN HDSA FOR HALLOWEEN FAMILY FUN! HDSA will be at the Farm from 9am - 2pm, and will pay the entrance fee for anyone who comes dressed in yellow and blue, Go21 T-shirts, HDSA, CDSS (Canadian Down Syndrome Association) or DSAO (Down Syndrome Association of Ontario) clothing, or in a Halloween Costume! Not only will we be celebrating fall, but the event will kick-off National Down Syndrome Awareness Week, which runs from November 1st - 7th, 2015! Please register in advance by emailing jen@haltondownsyndrome.com by October 21st. If you are interested in volunteering for an hour at the event to hand out wristbands, please email Jen as well. Please also save-the-date for our November 8th, 2015 Bowling Afternoon in Burlington, which will mark the end of National Down Syndrome Awareness Week! More information to come! Oak Park Playgroups are back! It was great to see so many of you at the AGM BBQ a few weeks ago, despite the rainy weather! What a wonderful event for the kids and parents both, to mark the end of the summer and the beginning of a new year for HDSA. Now that fall has begun, it is time to start up our regular playgroups at Oak Park Neighbourhood Centre (2200 Sawgrass Drive, Oakville). Our first date will be this Sunday, October 4th from 9:30-11:30 am. This will be a great chance for the kids to play together while you meet some new parents and catch up with old friends. We hope that many of you can make it! A huge thank you to Sharon Beasley who is going to be running Oak Park playgroups this year!!! WE NEED YOUR OPINION ABOUT HDSA'S CHRISTMAS / HOLIDAY PARTY! At Halton Down Syndrome Association's AGM in September, it was brought to the Board's attention that some of our HDSA members are not happy about the decision to rename the annual HDSA Christmas Party to the HDSA Holiday Party. In an effort to ensure that we are being as inclusive as possible, and are meeting the interests and needs of our members, we would like to request your input with respect to the naming of this party. Please take a moment to fill out the attached survey (three questions). A reminder that we will be having the IEP seminar tomorrow night at 7pm at the Alton library branch. We have rented out their private room. If you have any questions, or if you would still like to attend, please feel free to contact Sarah Gale at sarah@haltondownsyndrome.com. Light refreshments will be provided. Hope to see you there! The library is located at 3040 Tim Dobbie Drive, in Burlington. The library is attached to Frank J Hayden Secondary School. Click here for a map. Please join our Graduate Group for a beautiful fall hike at Crawford Lake Conservation Area. It's a guided hike mostly along a Boardwalk (we think). It should take about an hour and a half and is called the Moccasin Walk. It is mostly around Crawford Lake and were told it is not relatively flat so wear appropriate shoes! We look forward to seeing all of our Graduate Group friends there! World Down Syndrome Day Contest Volunteers Needed! 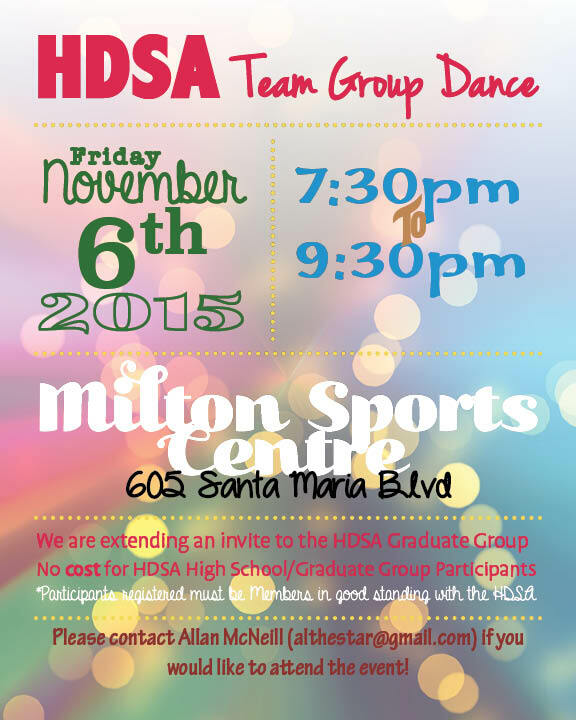 HDSA needs your help to make the 2016 WDSD Contest a success! In March of 2016, HDSA will be running our second annual World Down Syndrome Day Contest, which invites schools within the Halton and Halton Catholic District School Boards to celebrate and raise awareness about Down syndrome. Last year, the contest was open to Elementary Schools, and this year, we are expanding that to include High Schools throughout Halton. This means we have a lot to do, and will need more hands to make it happen! We will be meeting soon to begin planning, and would like to invite you to join us! Please email jen@haltondownsyndrome.com for more information, or if you are interested in volunteering. Please let us know how many people in your group will attend. Attention Graduates and Aspiring Writers! Are you interested in a chance to improve your communication and writing skills while socializing with friends? Then the Graduate Writer’s Café Soirée is for YOU! Writers are expected to come prepared with a notebook, pen or pencil, as well as up to a maximum of two, double-spaced, pages of their writing to share with others. Bringing multiple copies of your work - if typed - is preferable. If you have not yet written a single page, this group is the perfect place for you to find some inspiration! Each week will be structured with a simple ice-breaker writing activity or game, a guided discussion based on a specific topic, followed by the opportunity to share personal writing (up to a max of two pages). Graduates are invited to enjoy a complimentary non-alcoholic drink and dessert while we engage in social conversation. You must be a current and paid member to participate. Week #1 – Writing in Everyday Life: when do we use writing in everyday life? Why is writing important? Week #2 – All About Me: Who are you? What do you like to write about? Why do you like to write? Week #3 – Writing with Style: What makes our writing good or bad? How can we improve our writing? *Please note, if transportation is a concern, HDSA will be looking into providing a shuttle bus. If interested, you will be notified of transportation arrangements in early October.